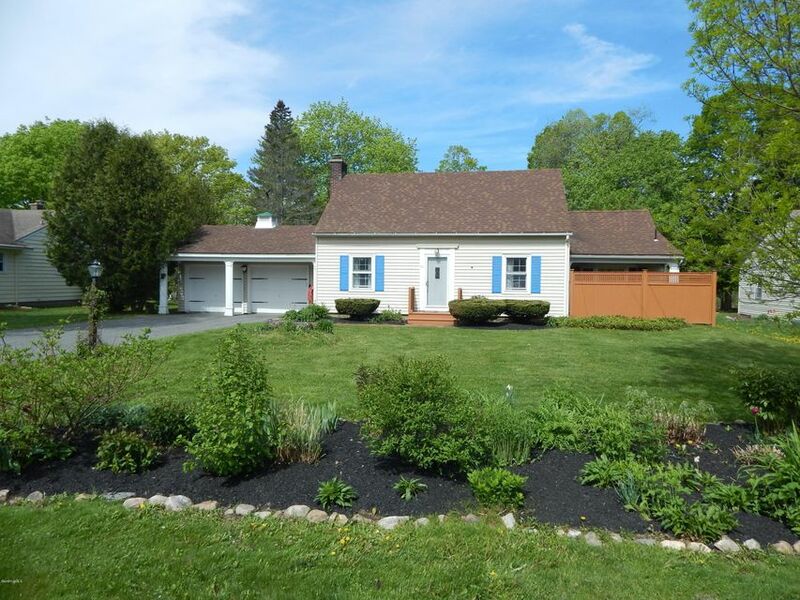 Charming private 3 bedroom, 2.5 bath Cape located on almost a half acre. Enjoy the pond view and large well manicured yard from the back deck. This home has lots of natural light, skylights, vaulted ceilings, and beautiful wood floors. Master bedroom is lovely with vaulted ceiling, a slider to the back deck, and updated master bath. All of the rooms are large and inviting. This home has been well cared for and will not last!